Learn how to develop probabilistic models using machine learning and other analytic tools to identify and quantify risk. Identify effective ways to use scenarios and simulations, especially in a collaborative environment or context, to identify risks and manage them by using all available combinations of resources. 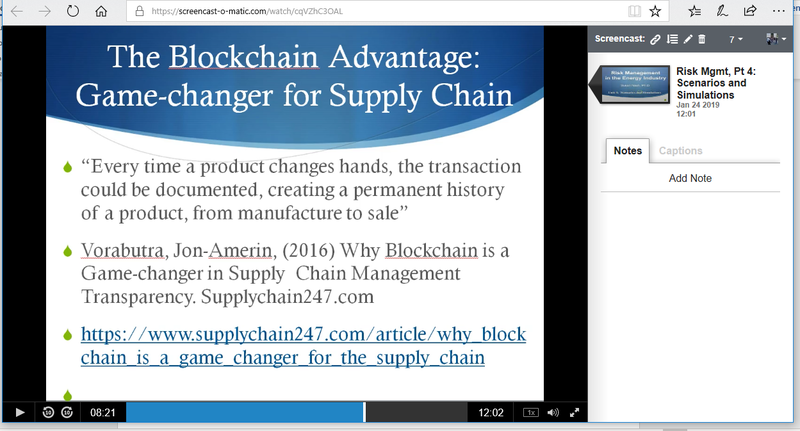 Describe how blockchain is revolutionizing the supply chain. Emily and Charles are worried. They’ve agreed to put sensors on all the pumps, gas gathering systems, in pipelines, injection wells, and disposal wells. 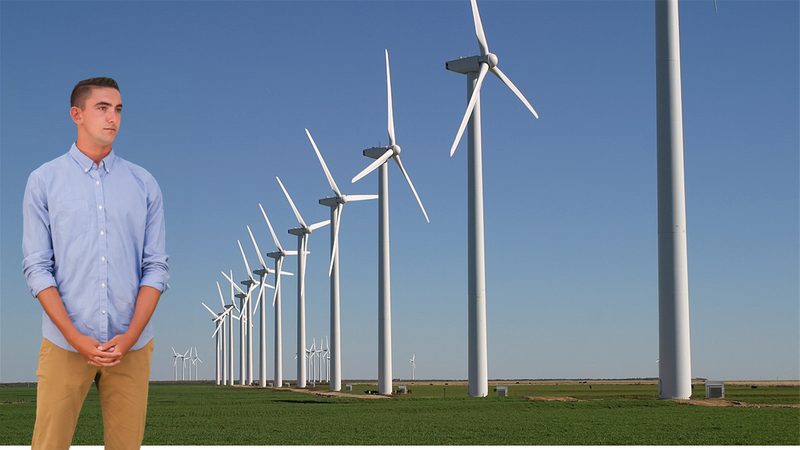 They hope to eliminate the need for field techs to have to check installations every day, and they want to be able to predict maintenance schedules, as well as where / when to maintain corrosion control, and when to replace equipment. They want to move away from a rigid schedule of maintenance and move to a more “reality based” maintenance and replacement. However, they are worried. Their entire model depends on high-quality sensors and electronic components that do the job they’re supposed to do. They’ve come to find out that an alarming percentage of electronic components are counterfeit, which means that they do not do what they’re supposed to do. That’s a terrifying thought when one considers that all the decisions are made based on the readings that the sensors and components deliver via the Industrial Internet of Things (IIoT). Your Task: Help Emily and Charles come up with a plan to make sure that all that the components they have are authentic. • Develop a plan for Emily and Charles to work with their suppliers to use Blockchain technology to assure authenticity. • Also, help Emily and Charles develop a plan to use the information from the IIoT to determine when and how to maintain and replace equipment. • Explain to Emily and Charles how to brainstorm using mind-mapping and role-playing with other team members. • Develop recommendations for both supply chain integrity (using blockchain) and maintenance / replacement protocols and best practices for the company. What is the information that you need? For more information about the courses (and this full course), please contact me. Upon successful completion of this unit, learners will be able to identify how to use artificial intelligence and machine learning to predict levels and types of risk, both known and unknown. Links to open source platforms, languages, and computing environments are provided. It is not necessary to learn the computing languages or to develop new code or programs; the goal of this unit is to familiarize learners in order to work effectively in teams with data scientists, domain experts, and financial decision-makers. Julia, Patricio, and Reyna are part of a team that is tasked with classifying old shallow-water offshore wells in the Gulf of Mexico in new ways that will help them develop a plan to boost production. They feel very fortunate in that around a million geological and production records have been scanned, and they cover the 150 or so wells in the field. It’s a treasure trove of data, and they want to incorporate it with the new data in order to develop a profile of the best wells, as well as the good, mediocre, and underperforming wells. Your Task: Help Julia, Patricio, and Reyna develop a plan to analyze the data, and then help them determine where, when, and how they can use artificial intelligence and machine learning to create profiles. How will you select the data to use? How will you organize it? What are the attributes or clusters of characteristics you’ll use? What approach will you use to select data? What kind of AI / ML approach will you use? How will you use the results? ● Pinpoint the problem you want to solve. How do I clean data? 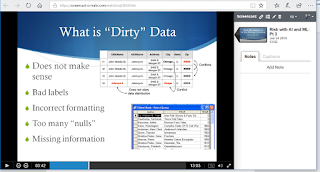 Brendon Bailey’s Guide: Use Excel or Python to Clean Data? Where do you keep the data? How do we predict where and when high-risk situations may take place? What is the ideal combination of variable or factors to tell us when / where / how conditions are ideal for a) optimization; b) an accident or problem ? Bring together all risk factors: geological, logistical, political, economic, legal, environmental, etc. Bougher, Benjamin Bryan. (2016) Machine Learning Applications to Geophysical Data Analysis. Open Collections. University of British Columbia. Methodology - what's the algorithm? Bougher uses a scattering transform - and then it fieeds a K-Nearest Neighbours (KNN) classifier). Framing the exploration task as a supervised learning problem, the geological, geochemical and geophysical information can be used as training data, and known mineral occurrences can be used as training labels. The goal is to parameterize the complex relationships between the data and the labels such that mineral potential can be estimated in under-explored regions using available geoscience data. Granek, Justin. (2016). Application of Machine Learning Algorithms to Mineral Prospectivity Mapping. Open Collections. University of British Columbia. 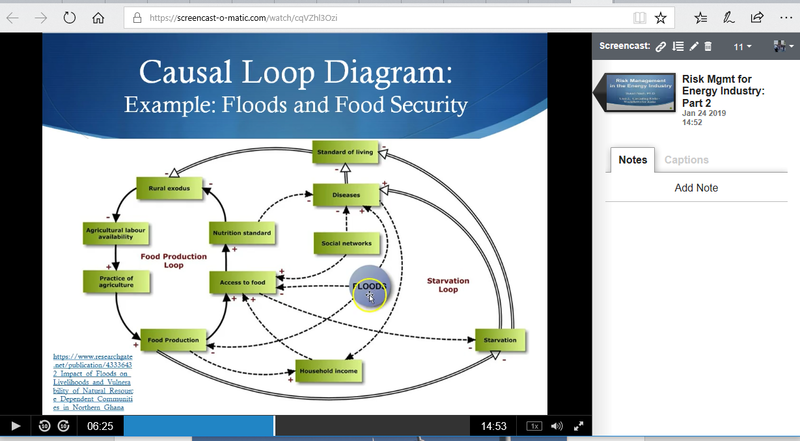 Learn to identify and evaluate cascading risks and causal chains is the goal of this unit, with easy-to-use tools for creating flow charts and maps for analysis and decision-making. 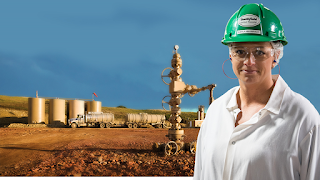 Joseph works for Wolf Midstream, which recently diversified into solar and wind energy to generate electricity for the grid in northeastern Texas and southwest Arkansas. Things have been going well. However, the weather forecast says there is a high likelihood of a tornado outbreak near their solar panel farm and also near the Wolf wind farm. Wolf Midstream is connected with Lone Wolf Electric, which owns transmission lines into the small towns and rural homes. The leadership of Wolf wants a report that provides 3 different scenarios for different levels of storms. They want to know what all the potential impacts will be, and how they will affect each other. Your Task: Help Joseph develop a map that shows how damage in one place will affect other places, resulting in causal chains, and cascading failures. Which data does she need to collect? What kind of maps should she build? Use a diagram to show with arrows the cascading failures. Then, mark on a map where the problems will occur (after you’ve completed the diagrams). Stage 4: Final level of outcomes (long-term consequences). 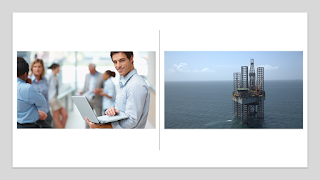 Upon successful completion of this unit, learners will be able to identify and define risks in the energy industry (petroleum, natural gas, alternative), and construct risk heat maps for analysis, strategic planning and decision-making. 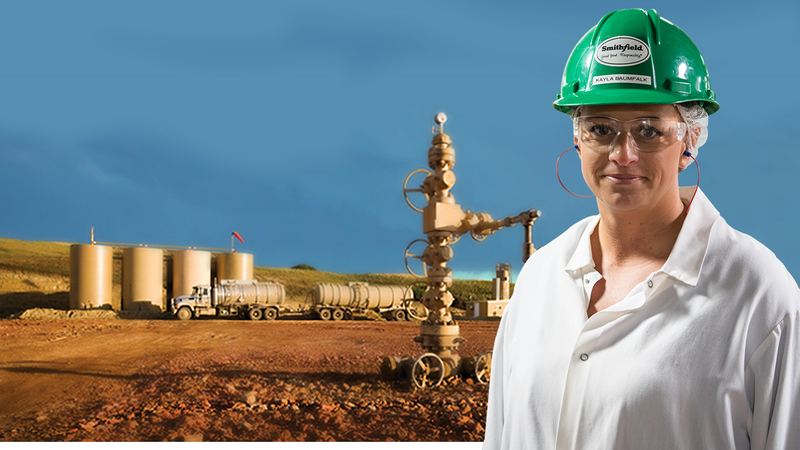 Mark, Tamara, and Talib have put together a small company, Invictus Energy, with the goal of buying two or three small mature fields that also has a pipeline and gas gathering system. Their goal is to revitalize the fields, renegotiate contracts, and then sell the fields and the gas gathering system and pipelines. They have obtained private equity financing, but are a bit alarmed at how much personal "skin in the game" they have to put up. They are required to put in their own savings and assets, which makes them very nervous. But, they believe they can boost the production and recoverable reserves by 50%. They are worried because the pumps are old, and the pipeline and gas gathering systems have not had any corrosion control or maintenance in many years. Your Task: Help Mark, Tamara, and Talib identify and rank the risks. Then, help them create a heat map so they can make sound financial decisions. --What are the kinds of risks that Invictus Energy will face? --What is the probability and potential impact of each? 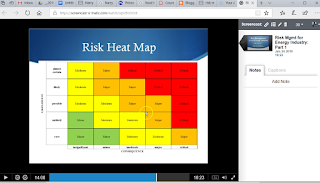 --What does a risk heat map look like for Invictus? --What are 3 or 4 decisions that the heat map can help with? 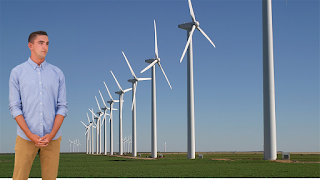 Other examples: Solar and wind energy generation and distribution.